Ships tomorrow if you order in the next 22 hours 22 minutes. There are a number of factors that can have negative effects on your immune system, as well as your overall health. Some of these include poor dietary choices, frequent travel, and lack of certain vitamins and minerals. If you're looking for an all-natural immune system boost, Dr. Mercola's Immune Support is a reliable option. Take control of your overall health by supporting your immune system. 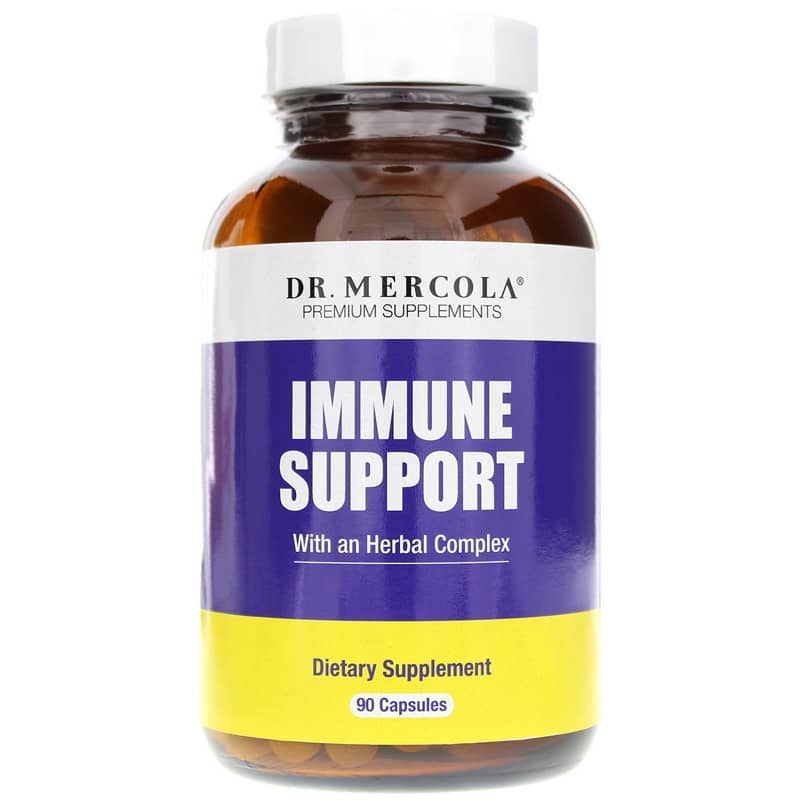 Dr. Mercola's Immune Support provides just what your body needs to improve your immunity and help defend against illness and infection. 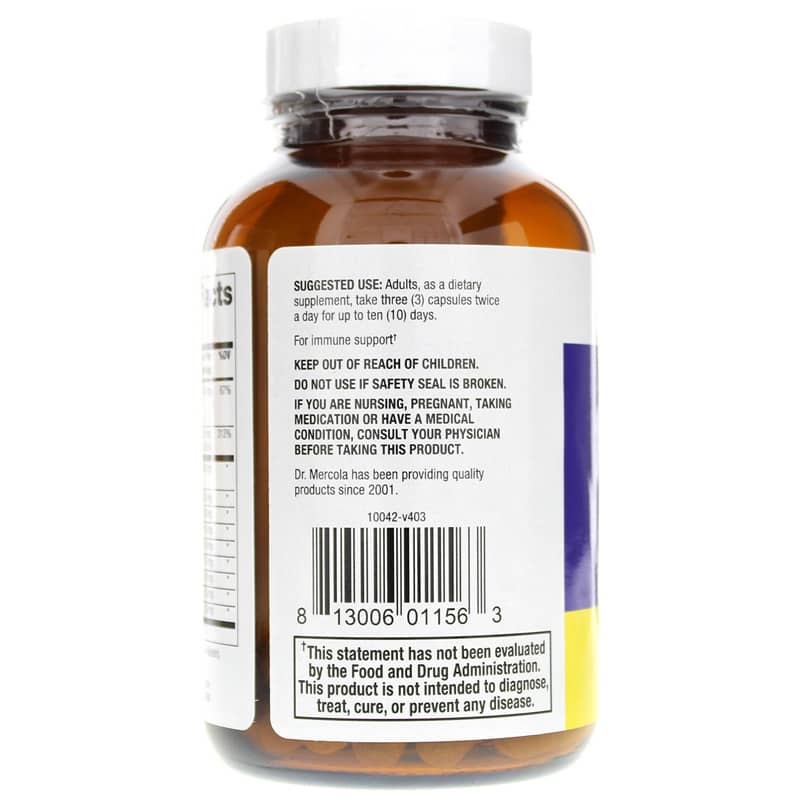 Other Ingredients: maltodextrin, capsule (bovine gelatin), dicalcium phosphate. 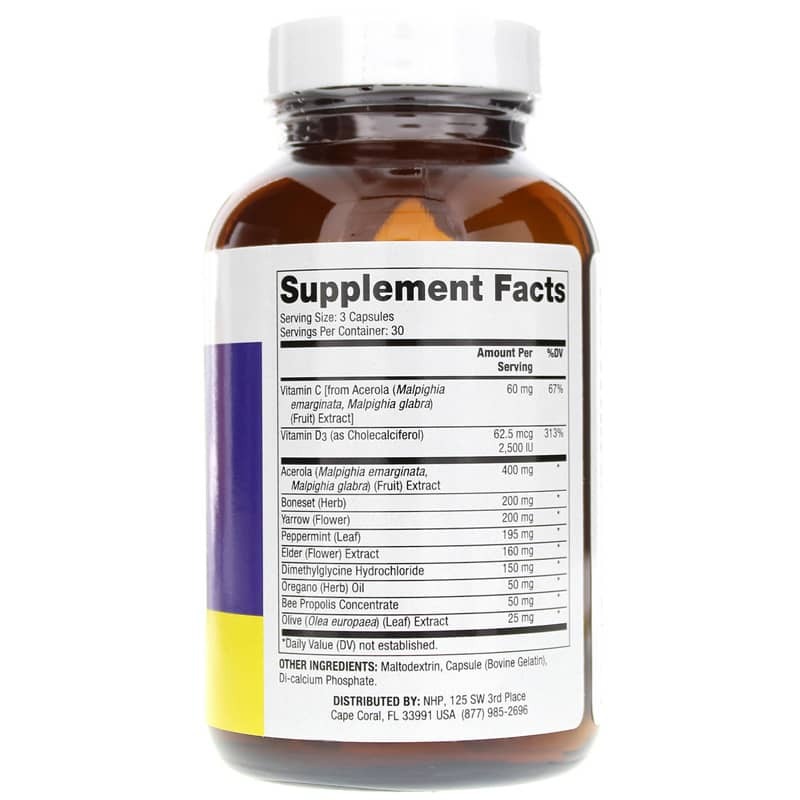 Adults: As a dietary supplement, adults take 3 capsules twice a day for up to 10 days. I used this formula last winter and really felt the difference. you can smell the oregano in the capsule. Simply THE BEST formula I ever used. I have used Dr, Mercola's herbal Immune Support blend for several years. I find it very helpful as a defensive supplement.